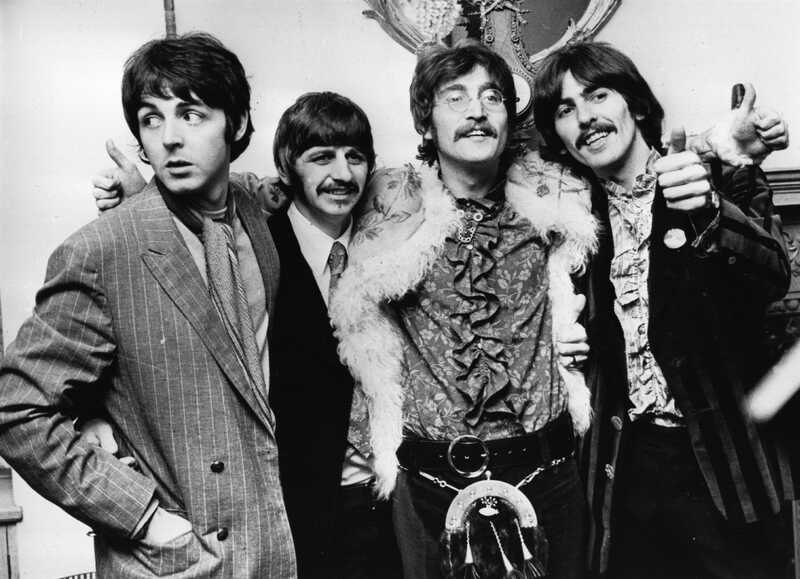 By the end of the sixties, the group’s various combative, creative urges — and in retrospect, the creativity was sort of ridiculous — had become unmanageable, and they weren’t limited to the oft-debated souring of the John Lennon-Paul McCartney partnership; George Harrison and Ringo Starr were also suffering. And yet, as the re-release of „The Beatles/The White Album“ proves, the guys could make monumental magic. The remixed re-issue contains a massive amount of new music, much of it loose, outtakes rather than polished performances. Then there’s the 13-minute version of the Beatles‘ most disturbing song, „Helter Skelter,“ made infamous by its association with Charles Manson and the Tate-LaBianca murders of 1969. Composed by McCartney as a response to the aggressive sonic experiments of Pete Townshend and The Who, „Helter Skelter“ originally came in once cut down at about four-and-a-half minutes and has been scrutinized ever since the needle first hit wax as a prototype of punk, heavy metal, noise, and the Beatles‘ influence on indie rock. It’s trancelike. It’s deeply troubling. It about a million miles from „Love Me Do.“ As with the Rolling Stones when they go back to the wellspring of the blues, it demonstrate that the avant-garde Beatles — channeling the darkness that was gathering at the end of the 1960s and, to my ear, referencing extended, textural tunes from the period, such as „East-West, „also a 13-minute jam by guitarist Mike Bloomfield and the Paul Butterfield Blues Band — were the group at its finest. The Beatles evidently wrapped this „Helter Skelter“ take in the bleak, wee hours of the morning. It’s the kind of thing that’s hypnotic yet shattering to listen to. I can only imagine what it was like to actually make the music, especially given that it was tough to record very long takes back then on analog tape. For me, it’s exquisite. And yes, a completely new Beatles song, so different from the familiar version of „Helter Skelter“ as to set a new standard. A strange gift from a distant past, recorded when I was a year old. The Beatles were so good that we take their contribution to culture for granted. But almost 50 years after they called it quits, they can still shake us up like nobody else.